Do you love modern dance? This special evening at The Ailey Citigroup Theater, Joan Weill Center for Dance, is just your ticket. At 7pm, on Wednesday June 3 you’ll see a special anniversary performance by the Victory Dance Project honoring legendary Ailey dancer Renee Robinson. Alvin Ailey is a name synonymous with modern dance. On Wednesday, June 3, The Ailey Citigroup Theater, Joan Weill Center for Dance, will be the home of a special dance presentation and reception honoring Renee Robinson, the last remaining Ailey company member selected by founder Alvin Ailey. 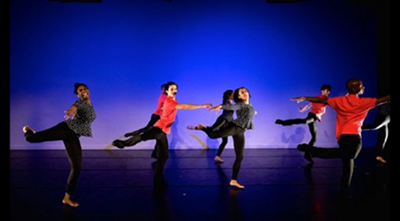 The evening celebrates the first anniversary of The Victory Dance Project as well, with a dance presentation choreographed by company director Amy Jordan. “People, Power and Possibility” begins at 7pm with a performance of five works including Big Fun; Human Revolution, a lyrical contemporary ballet in five sections; and the premiere of an excerpt from Thru the Looking Glass. www.victorydance.org at 405 West 55th Street (near 9th avenue). The special evening honors Ms. Robinson’s three-decade career with American Ailey Dance Theater. A legend in dance, she is a graduate of The Ailey School and the only female to have worked under the dance theater’s three artistic directors. Robinson received the 2012 Dance Magazine Award which honors great artists who have made major contributions to the world of dance. The Victory Dance Project showcases some of the country’s most exciting dancers. Company members have performed not only with the Alvin Ailey American Dance Theater but also with Dance Theater of Harlem, Bill T. Jones, National Ballet of Cuba, and on Broadway. Company members are Christopher Jackson, William Penelope Briscoe, Saleem Abdullahi, Florient Cador, DeAndre Cousely, Jessica Israel, Alicia Lundgren, Erin Moore, Karen Niceley, Major Nesby, Ryan Rankine and Danielle Schlauderaff, Maggie Segale, Sharron Lynn Williams and Kara Zacconi. Founder and choreographer Amy Jordan is a role model herself. Ms. Jordan turned to dance multiple times to turn around a life marked by complications from diabetes. In addition to creating The Victory Dance Project, she is the founder of Sweet Enuff, a diabetes and obesity prevention program for children. The program focuses on dance and nutrition as a way of life. Tickets for either the performance only, or both the performance and reception are available at http://bit.ly/1y0K5Wr. This entry was posted on Monday, June 1st, 2015 at 12:01 pm	and is filed under Stuff to Do. You can follow any responses to this entry through the RSS 2.0 feed. You can leave a response, or trackback from your own site.